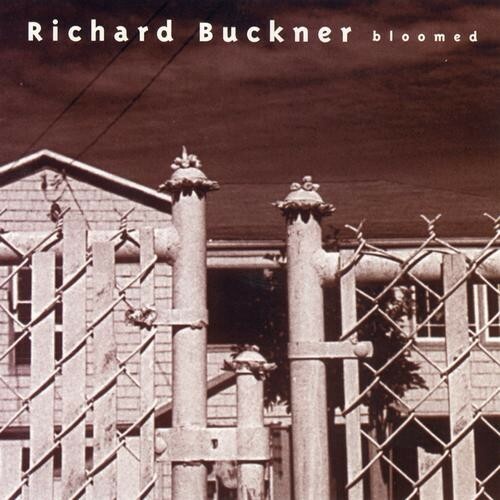 On March 18, Merge Records will reissue Bloomed, the 1994 debut album of Richard Buckner, appended with a bonus disc containing various live recordings and studio rarities made around the time of its initial release. The record remains one of my all-time favorites, and while I've always admired the artistic restlessness that's driven Buckner to constantly tweak his sound and aesthetic, for me this will always hold a special place in my heart. Compared to his later work—sometimes elliptic, sometimes jagged, sometimes overheated—Bloomed presents his abundant gifts as a songwriter and singer at their most unfettered and pure. The record was made in Austin with the top-notch roots producer Lloyd Maines, who contributed gorgeously woozy lyric lines on pedal steel, dobro, and lap steel, each one complementing the breathy quaver of Buckner's voice. Buckner's hopeless romantic streak starts here; most of the songs recount failed relationships with a bittersweet pain and poetic touch years away for most 26-year-olds, his age when he created this music. Narrating one's own suicide from beyond the grave hardly seems like a bright idea, but he nails it on "22," making youthful misdirection sting badly. "This Is Where" is a harrowing obituary for a parting that turns out to be a breakup: "This isn't for what we've got, dear / This is for what we had." Today's 12 O'Clock Track is the lovely "Gauzy Dress in the Sun," which tempers sadness with pure adoration: "Lord the things that I've seen / A stone mountain, stars showering, dear, you lying next to me."